(2) the company, firm or organisation referred to as the Customer in the Agreed Terms (the Customer). 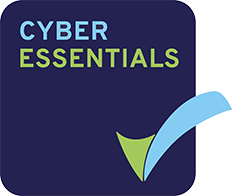 (A) CybSafe has developed a learning tool and associated software applications which it makes available to subscribers via the internet on a subscription basis for the purpose of developing a basic level of awareness of cyber security. (B) The Customer wishes to use CybSafe’s service in its business operations. (C) CybSafe has agreed to provide and the Customer has agreed to take and pay for CybSafe’s service subject to the terms and conditions of this agreement. the document attached to the front of this agreement containing the Customer’s details and the agreed commercial terms. the data provided to the Customer via the Services and in accordance with the Documentation detailing the Authorised Users use of the Services. information that is proprietary or confidential and is either clearly labelled as such or identified as Confidential Information in clause 10.5. (c) and, in either case any judicial or administrative interpretation of any of the above, any guidance, guidelines, codes of practice, approved codes of conduct or approved certification mechanisms issued by any relevant Supervisory Authority. the date referred to as such in the Agreed Terms. in relation to a company, that company, any subsidiary or any holding company from time to time of that company, and any subsidiary from time to time of a holding company of that company. the initial term of this agreement as set out in the Agreed Terms. the designated representatives of the Customer and CybSafe from time to time who have day-to-day responsibility for the performance of their appointor’s obligations under this agreement and act as the principal point of contact between the parties, as set out in the Agreed Terms as amended by the appointing party to the other in writing. the period described in clause 13.1.
the service level agreement set out in Schedule 1.
the subscription fees payable by the Customer to CybSafe for the User Subscriptions, as set out in the Agreed Terms. has the meaning given in clause 13.1 (being the Initial Subscription Term together with any subsequent Renewal Periods). the user subscriptions purchased by the Customer pursuant to clause 8.1 which entitle Authorised Users to access and use the Services and the Documentation in accordance with this agreement. 2.1 Subject to the Customer purchasing the User Subscriptions in accordance with clause 3.3 and clause 8.1, the restrictions set out in this clause 2 and the other terms and conditions of this agreement, CybSafe hereby grants to the Customer a non-exclusive, non-transferable right to permit the Authorised Users to use the Services and the Documentation during the Subscription Term solely for the Customer’s internal business operations. (g) if any of the audits referred to in clause 2.2(e) reveal that the Customer has underpaid Subscription Fees to CybSafe, then without prejudice to CybSafe’s other rights, the Customer shall pay to CybSafe an amount equal to such underpayment as calculated in accordance with the prices set out in the Agreed Terms within 10 Business Days of the date of the relevant audit. (i) and except to the extent expressly permitted under this agreement, attempt to copy, modify, duplicate, create derivative works from, frame, mirror, republish, download, display, transmit, or distribute all or any portion of the Software and/or Documentation (as applicable) in any form or media or by any means; or website notified to the Customer by CybSafe from time to time, as more particularly described in the Documentation. 2.5 The rights provided under this clause 2 are granted to the Customer only, and shall not be considered granted to any subsidiary or holding company of the Customer unless the Agreed Terms specifies otherwise. 3.1 Subject to clause 3.2 and clause 3.3, the Customer may, from time to time during any Subscription Term, purchase additional User Subscriptions in excess of the number set out in the Agreed Terms and CybSafe shall grant access to the Services and the Documentation to such additional Authorised Users in accordance with the provisions of this agreement. 3.2 If the Customer wishes to purchase additional User Subscriptions, the Customer shall notify CybSafe in writing. CybSafe shall evaluate such request for additional User Subscriptions and respond to the Customer with approval or rejection of the request (such approval not to be unreasonably withheld). 3.3 If CybSafe approves the Customer’s request to purchase additional User Subscriptions, such additional User Subscriptions will be activated and the additional users will become Authorised Users. The Customer shall then, within 30 days of the date of CybSafe’s invoice, pay to CybSafe the relevant fees for such additional User Subscriptions as set out in the Agreed Terms and, if such additional User Subscriptions are purchased by the Customer part way through the Initial Subscription Term or any Renewal Period (as applicable), such fees shall be pro-rated for the remainder of the Initial Subscription Term or then current Renewal Period (as applicable). (a) CybSafe may, without liability to the Customer, disable access for the Additional Authorised Users. (b) interest shall accrue on a daily basis on such due amounts at an annual rate equal to 3% over the then current base lending rate of HSBC Bank plc from time to time, commencing on the due date and continuing until fully paid, whether before or after judgment. 4.1 CybSafe shall, during the Subscription Term, provide the Services and make available the Documentation to the Customer on and subject to the terms of this agreement. 4.2 CybSafe shall use commercially reasonable endeavours to provide the Services in accordance with the Service Level Agreement. 5.2 CybSafe shall follow its archiving procedures for Customer Data and the Analytical Data as set out in its Back-Up Policy available as part of the Platform Security Overview at https://cybsafe.com or such other website address as may be notified to the Customer from time to time, as such document may be amended by CybSafe in its sole discretion from time to time. In the event of any loss or damage to Customer Data or Analytical Data, the Customer’s sole and exclusive remedy shall be for CybSafe to use reasonable commercial endeavours to restore the lost or damaged Customer Data or Analytical Data from the latest back-up of such Customer Data or Analytical Data maintained by CybSafe in accordance with the archiving procedure described in its Back-Up Policy. CybSafe shall not be responsible for any loss, destruction, alteration or disclosure of Customer Data caused by any third party (except those third parties sub-contracted by CybSafe to perform services related to Customer Data maintenance and back-up). 5.4 If CybSafe processes any Personal Data on the Customer’s behalf when performing its obligations under this agreement, the parties record their intention that the Customer shall be the data controller and CybSafe shall be a data processor. 5.5 Cybsafe shall comply with all Data Protection Laws (which apply to it in its capacity as a data processor) in connection with the processing of Personal Data in respect of the delivery of the Services and the exercise and performance of its rights and obligations under this Agreement. 5.6 The Customer shall comply with all Data Protection Laws (which apply to it in its capacity as a data controller) in connection with the processing of Personal Data in respect of the exercise and performance of its rights and obligations under this Agreement, and to enable Cybsafe to deliver the Services. 5.7.2 if any applicable laws require it to process Personal Data other than in accordance with the Processing Instructions, Cybsafe shall notify the Customer of any such requirement before processing the Personal Data (unless any of the applicable laws prohibit such information on important grounds of public interest). 5.8.2 without prejudice to clause 5.11, insofar as is possible, to assist the Customer in the fulfilment of the Customer’s obligations to respond to Data Subject Requests relating to Personal Data. 5.9 Using staff and other processors – Cybsafe shall not engage another Data Processor for carrying out any processing activities specifically for the Customer in respect of the Personal Data without the Customer’s prior written consent. 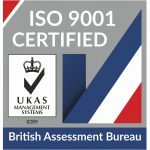 5.10.2 are reliable and have received appropriate training on compliance with the Data Protection Laws. 5.11.3 not respond to any Data Subject Request or Complaint without the Customer’s prior written approval. 5.12.3 prior consultation with a Supervisory Authority regarding high risk processing. 5.13.2 Subject to clause 5.13.3, and without prejudice to the generality of clause 5.13.1, the Customer consents to the appointment of Sub Processors in connection with certain tools used by Cybsafe to deliver the Services, and for the purpose of some web hosting undertaken for Cybsafe in connection with the Services and to the processing of Personal Data by each of such Sub Processors in accordance with the Data Processing Instructions. 5.14.4 where possible, a general description of the technical and organisational security measures referred to in clause 5.8. 5.15 Cybsafe shall make available to the Customer on request in a timely manner copies of the records under clause 5.14. 5.16 Subject to clause 5.22 Cybsafe shall allow for and contribute to audits, including inspections, conducted by the Customers or another auditor mandated by the Customer, for the purpose of demonstrating compliance by Cybsafe with its obligations under Data Protection Laws and under this clause 5. 5.18 Each party shall promptly inform the other party if it receives a Complaint and provide the Customer with full details of such Complaint. 5.19.2 Cybsafe requires storage of any data for the establishment, exercise or defence of legal claims. 5.20 The Customer acknowledges that Cybsafe is reliant on the Customer for direction as to the extent to which Cybsafe is entitled to use and process the Personal Data. Consequently, Cybsafe will not be liable for any claim brought by a Data Subject arising from any action or omission by Cybsafe to the extent that such action or omission resulted from the Customer’s instructions or from the Customer’s failure to comply with Data Protection Laws or its obligations under this Agreement. 5.21.2 provide Cybsafe with details of such legal basis. 5.22.4 in so far as reasonably possible, in a manner that minimises disruption to Cybsafe’s business and the delivery of the Services. 6.1 CybSafe undertakes that the Services will be performed substantially in accordance with the Documentation and with reasonable skill and care. 6.3 This agreement shall not prevent CybSafe from entering into similar agreements with third parties, or from independently developing, using, selling or licensing documentation, products and/or services which are similar to those provided under this agreement. 6.4 CybSafe warrants that it has and will maintain all necessary licences, consents, and permissions necessary for the performance of its obligations under this agreement. (g) be solely responsible for procuring and maintaining its network connections and telecommunications links from its systems to CybSafe’s data centres, and all problems, conditions, delays, delivery failures and all other loss or damage arising from or relating to the Customer’s network connections or telecommunications links or caused by the internet. 8.1 The Customer shall pay the Subscription Fees to CybSafe for the User Subscriptions in accordance with this clause 8 and the Agreed Terms. The Customer shall pay each invoice within 30 days of receipt. (c) are exclusive of value added tax, which shall be added to CybSafe’s invoice(s) at the appropriate rate. 8.5 CybSafe shall be entitled to increase the Subscription Fees, the fees payable in respect of the additional User Subscriptions purchased pursuant to clause 3.3 at the start of each Renewal Period upon 90 days’ prior notice to the Customer and the Agreed Terms shall be deemed to have been amended accordingly. 9.1 The Customer acknowledges and agrees that CybSafe and/or its licensors own all intellectual property rights in the Services and the Documentation. Except as expressly stated herein, this agreement does not grant the Customer any rights to, or in, patents, copyright, database right, trade secrets, trade names, trade marks (whether registered or unregistered), or any other rights or licences in respect of the Services or the Documentation. 9.2 CybSafe confirms that it has all the rights in relation to the Services and the Documentation that are necessary to grant all the rights it purports to grant under, and in accordance with, the terms of this agreement. 10.5 The Customer acknowledges that details of the Services, and the results of any performance tests of the Services, constitute CybSafe’s Confidential Information. 10.6 CybSafe acknowledges that the Customer Data is the Confidential Information of the Customer. (c) CybSafe is given sole authority to defend or settle the claim. 11.2 In the defence or settlement of any claim, CybSafe may procure the right for the Customer to continue using the Services, replace or modify the Services so that they become non-infringing or, if such remedies are not reasonably available, terminate this agreement on 2 Business Days’ notice to the Customer without any additional liability or obligation to pay liquidated damages or other additional costs to the Customer. (c) the Customer’s use of the Services or Documentation after notice of the alleged or actual infringement from CybSafe or any appropriate authority. 11.4 The foregoing states the Customer’s sole and exclusive rights and remedies, and CybSafe’s (including CybSafe’s employees’, agents’ and sub-contractors’) entire obligations and liability, for infringement of any patent, copyright, trade mark, database right or right of confidentiality. (b) CybSafe’s total aggregate liability in contract tort (including negligence or breach of statutory duty), misrepresentation, restitution or otherwise, arising in connection with the performance or contemplated performance of this agreement shall be limited to the total Subscription Fees paid for the User Subscriptions during the 12 months immediately preceding the date on which the claim arose. (i) any event occurs, or proceeding is taken, with respect to the other party in any jurisdiction to which it is subject that has an effect equivalent or similar to any of the events mentioned in clause 13.2(c) to clause 13.2(h) (inclusive). 15.1 Conflict. If there is an inconsistency between any of the provisions in the Agreed Terms, the main body of this agreement and the Schedule, the provisions shall take precedence in the order stated in this clause 15.1. 15.2 Variation. No variation of this agreement shall be effective unless it is in writing and signed by the parties (or their authorised representatives). 15.3 Waiver. No failure or delay by a party to exercise any right or remedy provided under this agreement or by law shall constitute a waiver of that or any other right or remedy, nor shall it prevent or restrict the further exercise of that or any other right or remedy. No single or partial exercise of such right or remedy shall prevent or restrict the further exercise of that or any other right or remedy. 15.4 Rights and Remedies. Except as expressly provided in this agreement, the rights and remedies provided under this agreement are in addition to, and not exclusive of, any rights or remedies provided by law. 15.5 Severance. If any provision (or part of a provision) of this agreement is found by any court or administrative body of competent jurisdiction to be invalid, unenforceable or illegal, the other provisions shall remain in force. 15.6 If any invalid, unenforceable or illegal provision would be valid, enforceable or legal if some part of it were deleted, the provision shall apply with whatever modification is necessary to give effect to the commercial intention of the parties. 15.7 Entire Agreement. This agreement, and any documents referred to in it, constitute the whole agreement between the parties and supersede any previous arrangement, understanding or agreement between them relating to the subject matter they cover. 15.8 Each of the parties acknowledges and agrees that in entering into this agreement it does not rely on any undertaking, promise, assurance, statement, representation, warranty or understanding (whether in writing or not) of any person (whether party to this agreement or not) relating to the subject matter of this agreement, other than as expressly set out in this agreement. 15.9 No Partnership or Agency. Nothing in this agreement is intended to or shall operate to create a partnership between the parties, or authorise either party to act as agent for the other, and neither party shall have the authority to act in the name or on behalf of or otherwise to bind the other in any way (including, but not limited to, the making of any representation or warranty, the assumption of any obligation or liability and the exercise of any right or power). 15.10 Third Party Rights. This agreement does not confer any rights on any person or party (other than the parties to this agreement and, where applicable, their successors and permitted assigns) pursuant to the Contracts (Rights of Third Parties) Act 1999. 16.1 The Customer shall not, without the prior written consent of CybSafe (which shall not be unreasonable withheld or delayed), assign, transfer, charge, sub-contract or deal in any other manner with all or any of its rights or obligations under this agreement. 16.2 CybSafe may at any time assign, transfer, charge, sub-contract or deal in any other manner with all or any of its rights or obligations under this agreement. 17.1 Any notice required to be given under this agreement shall be in writing and shall be delivered by hand or sent by pre-paid first-class post or recorded delivery post to the other party at its address set out in this agreement, or such other address as may have been notified by that party for such purposes, or sent by fax to the other party’s fax number as set out in this agreement. 17.2 A notice delivered by hand shall be deemed to have been received when delivered (or if delivery is not in business hours, at 9 am on the first business day following delivery). A correctly addressed notice sent by pre-paid first-class post or recorded delivery post shall be deemed to have been received at the time at which it would have been delivered in the normal course of post. A notice sent by fax shall be deemed to have been received at the time of transmission (as shown by the timed printout obtained by the sender). 18.2 Each party irrevocably agrees that the courts of England and Wales shall have exclusive jurisdiction to settle any dispute or claim arising out of or in connection with this agreement or its subject matter or formation (including non-contractual disputes or claims). the same degree of priority and diligence with which Cybsafe meets the support needs of its other similar customers. (c) outages or disruptions to the Service caused by the Customer. any failure of the Services to operate in all material respects in accordance with the Documentation, including any failure or error referred to in the Service Level Table. any support provided by help desk technicians sufficiently qualified and experienced to identify and resolve most support issues relating to the Services. the agreement to which this schedule relates. any services provided by Cybsafe in connection with any apparent problem regarding the Services reasonably determined by Cybsafe not to have been caused by a Fault, but rather by a Customer Cause or a cause outside Cybsafe’s control (including any investigational work resulting in such a determination). the service level responses and response times referred to in the Service Level Table. the table set out in paragraph 5.2. (b) a workaround in relation to a Fault (including a reversal of any changes to the Software and/or Services if deemed appropriate by Cybsafe) that is reasonably acceptable to the Customer. request made by the Customer in accordance with this schedule for support in relation to the Services, including correction of a Fault. Maintenance of the Software and providing Help Desk Support but excluding any Out-of-scope Services. 1.2 All initial capitalised terms in this schedule shall have the meaning given to them in the Main Agreement. 2.1 During the Subscription Term Cybsafe shall perform the Support Services during the Normal Working Hours in accordance with the Service Levels. (c) provide technical support for the Software and the Services in accordance with the Service Levels. 2.4 Cybsafe may reasonably determine that any services are Out-of-scope Services. If Cybsafe makes any such determination, it shall promptly notify the Customer of that determination. 2.5 The Customer acknowledges that Cybsafe is not obliged to provide Out-of-scope Services. 3.1 The provision of Support Services on a remote (via email), off-site basis within the Subscription Term shall be included in the Subscription Fees. 3.2 The provision of Support Services outside the Subscription Term or at the Customer’s premises or the provision of Out-of-scope Services shall be charged at the time and materials rates agreed between the parties when the Out-of-Scope Services are requested. 4.1 The Customer may request Support Services by way of a Support Request made via email by completing the support request form on the help desk support page. (b) such output and other data, documents, information, assistance and (subject to compliance with all Customer’s security and encryption requirements notified to Cybsafe in writing) remote access to the Customer System, as are reasonably necessary to assist Cybsafe to reproduce operating conditions similar to those present when the Customer detected the relevant Fault and to respond to the relevant Support Request. 4.4 All Support Services shall be provided remotely by Cybsafe. 5.1 Cybsafe shall use commercially reasonable endeavours to make the Services available 97% of the time during the Core Hours, except for unscheduled maintenance performed during the Core Hours, provided that Cybsafe has used reasonable endeavours to give the Customer at least 3 Core Hours’ notice in advance. b) that affects a limited number of functions; but the Services can still be used. 5.3 The parties may, on a case-by-case basis, agree in writing to a reasonable extension of the Service Level response times. 5.4 Cybsafe shall give the Customer regular updates of the nature and status of its efforts to correct any Fault. 5.5 All Support Requests shall be received and responded to in English. 6.1 If the Customer is not satisfied with the response or the response time, the Customer may escalate the Support Request to the parties’ respective Relationship Managers. 7.1 In addition to the mechanisms for giving notice specified in clause 17 of the Main Agreement, the parties may communicate in respect of any matter referred to in this by e-mail (unless specified otherwise).